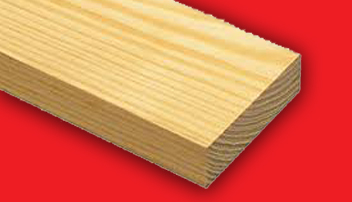 Post-frame buildings are pre-engineered wood-frame construction systems. Post-frame structures are more quickly erected than other kinds of buildings. Because the larger posts and the interlocking frame can handle greater loads than stud-wall construction, fewer structural materials are needed – which saves on material and installation costs. Post-frame buildings transfer loads to the ground through the posts, which are typically embedded in the ground or surface-mounted to a concrete pier or masonry foundation. Also, because posts are spaced farther apart than studs, there are fewer interruptions in insulating materials. Post-frame buildings feature an exceptionally large wall cavity for ample insulation, which allows for lowered heating and cooling costs throughout the year. With its roots in the agricultural market, post-frame is now the construction method of choice for any number of commercial, retail, industrial, residential, religious and public building needs. Due to the nature of its design and many external façade options, post frame may be customized to provide virtually any look. In addition to new construction, post-frame is also an effective and versatile choice for building additions and remodeling projects. In your building’s daily clash with gravity and Mother Nature, you need all the strength you can get in your building. That’s why Wick Buildings uses only machine stress rated (MSR) and machine evaluated lumber (MEL) in your new structure. You will appreciate that strength down the road with a stronger, stouter structure and less maintenance costs. We’ve all seen the effects of gravity and Mother Nature applying their brand of punishment to weaker lumber for 10 or 15 years!